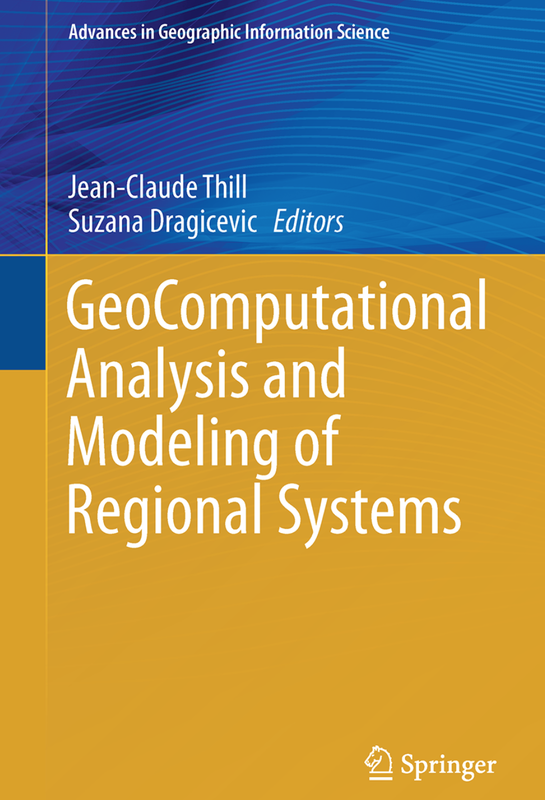 In the newly published book edited by Jean-Claude Thill and Suzana Drajicavic entitled: "Geocomputational Analysis and Modeling of Regional Systems" Amit Patel, Naoru Koizumi and myslef have a chapter which explores some of our work with respect to modeling slums in India. 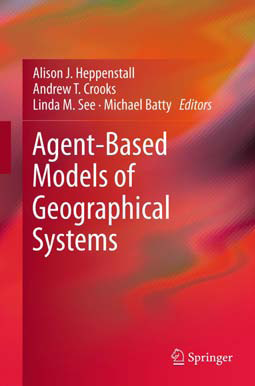 The chapter is titled: "Spatial Agent-based Modeling to Explore Slum Formation Dynamics in Ahmedabad, India." 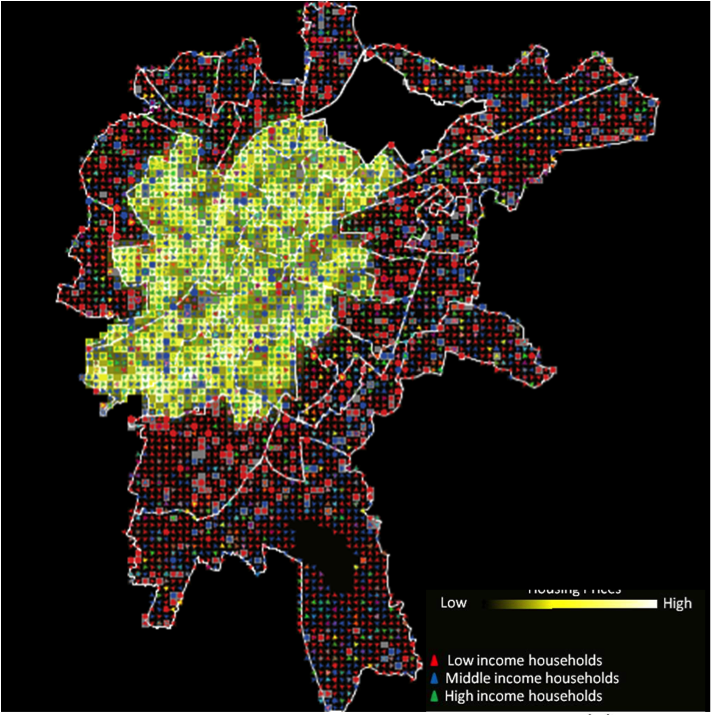 In which we report some of the work we did with pertaining to our sponsored NSF Project: "An Integrated Simulation Framework to Explore Spatio-temporal Dynamics of Slum Formation in Ahmedabad, India". Below you can see the abstract for the chapter along with some of the figures and a link to the project page. "More than 900 million people or one third of the world’s urban population lives in either slum or squatter settlements. Urbanization rates in developing countries are often so rapid that formal housing development cannot meet the demand. In the past decades, international, national and local development communities have taken several policy actions in an attempt to improve the living conditions of people within slums or to eradicate them completely. However, such policies have largely failed and slum-free cities have remained a distant goal for many developing countries. 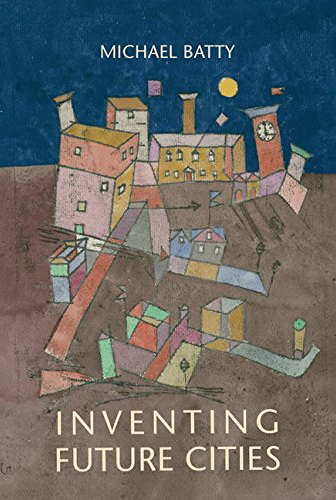 This chapter argues that for informed policymaking, it is important to investigate questions related to slum formation such as: (1) How do slums form and expand? (2) Where and when are they formed? (3) What types of structural changes and/or policy interventions could improve housing conditions for the urban poor? 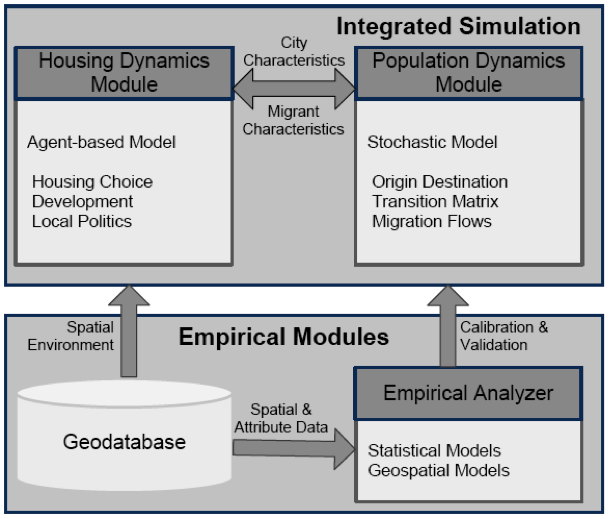 In order to address these questions, this chapter develops a geosimulation model that is capable of exploring the spatio-temporal dynamics of slum formation and simulating future formation and expansion of slums within cities of the developing world. 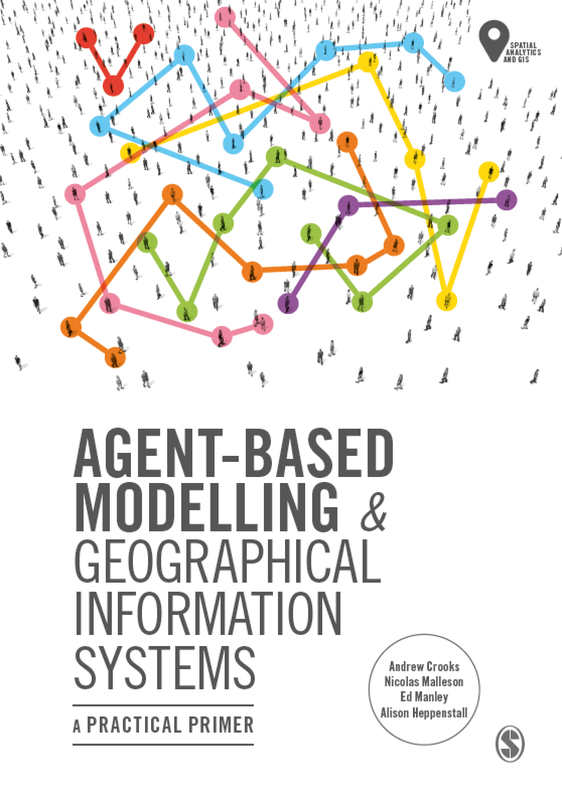 Our geosimulation model integrates agent-based modeling (ABM) and Geographic Information System (GIS), methods that are often applied separately to explore slums. In our model, ABM simulates human behavior and GIS provides a spatial environment for the housing market. GIS is also used to analyze empirical data using spatial analyses techniques, which is in turn used to validate the model outputs. The core of this framework is a linked dynamic model operating at both micro and macro geographic and demographic scales. The model explores the collective effect of many interacting inhabitants of slums as well as non-slum actors (e.g. local government) and how their interactions within the spatial environment of the city generate the emergent structure of slums at the macro scale. We argue that when empirical data is absent, geosimulation provides useful insights to study implications of various policies. The goal of this framework is to develop a decision support tool that could allow urban planners and policymakers to experiment with new policy ideas ex-ante in a simulated environment. We calibrate and validate the model using data from Ahmedabad, the sixth largest city of India, where 41% of its population lives in slums. 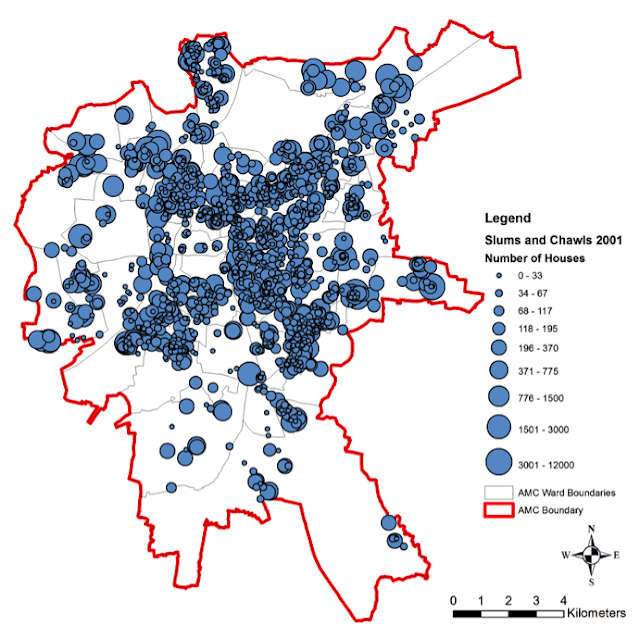 This is one of the first attempts to develop an integrated and multi-scalar analytical framework to tackle slum issues in the developing world at multiple spatial scales." Further details of the model and project can be found here. As normal any thoughts and comments are most welcome.